We see many cases of incidents in Uttar Pradesh in which lack of ambulance results in death of patients. But, this time a lady in Mathura who had labor pain, must be brought to the hospital where she delivered a baby. The episode happened in Mathura’s cantonment region – close to the railway station here – when Bhavna Prasav complained about her labor pains. Her husband was searching for help when the station Officer Sonu Rajaura saw the couple. He called an ambulance to help them yet was informed that no one could be send quickly. Rather than turning the other way, the cop put Bhavna in a rickshaw and took her to the district hospital. It is learnt that the doctors here referred Bhavna to a maternity hospital without giving her any medicinal consideration regarding facilitate her pain. With no stretcher accessible, Rajaura had no choice yet to carry the lady in his arms and take her to the maternity hospital – accepted to be in close region – where Bhavna delivered a baby boy. 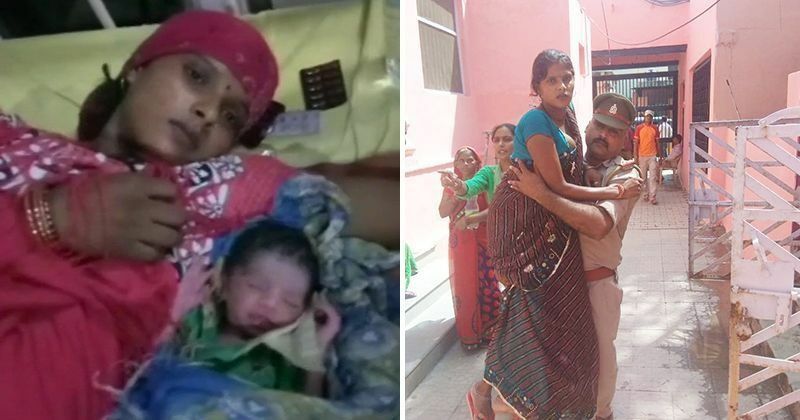 While bystander were stunned to see a cop carrying a lady, Rajaura got lot of praise who carried her to help a lady.